Ed McKeever displays the gold medal he won in the men's kayak single 200m in Eton Dorney. 14. 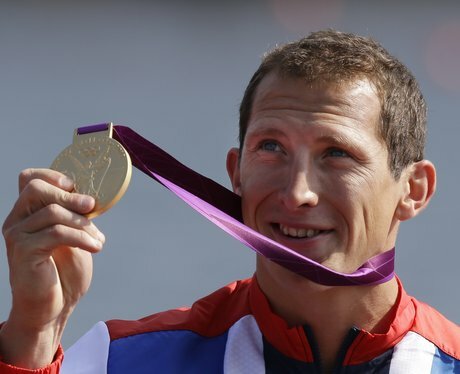 Ed McKeever displays the gold medal he won in the men's kayak single 200m in Eton Dorney.